The finding that inflammatory markers are elevated in various neuropsychiatric disorders raises the need of identifying the precise research domain criteria driven by inflammation. 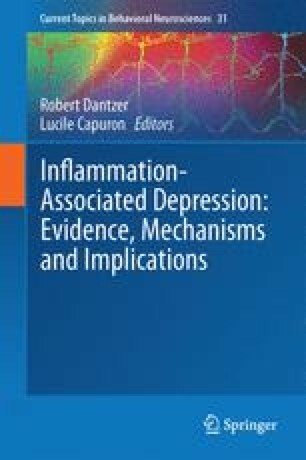 Based on the model of inflammation-induced depression it has been possible to identify distinct pathophysiological pathways leading to alterations in neurotransmitter metabolism with specific relevance for the development of symptom constellations that are common to various neuropsychiatric and neurodegenerative conditions. Moreover, converging data indicate that these pathways interact with relevant vulnerability factors and modulatory systems to ultimately impact the presentation of inflammation-driven neuropsychiatric symptoms. Altogether, these findings make inflammation a key pivotal factor in psychopathology. Developing treatments that target inflammation and modulate the pathways and systems by which inflammatory processes selectively affect brain function will be of particular relevance for the treatment of specific neurobehavioral symptom domains.